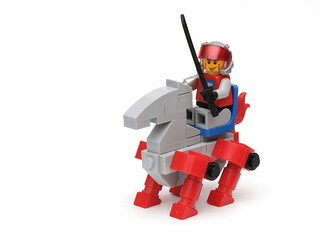 In the spirit of the upcoming Nexo Knights theme and the just-completed "Castle goes to Space" contest (results will be announced in a couple of days), here are some other theme mash-up MOCs. There's also a Space Castle group on Flickr. In 2011 Pascal and Moctagon Jones traded back and forth on Flickr. 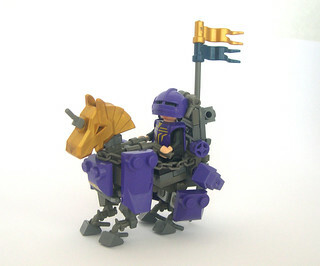 Two of my favorites were Pascal's Castletron Stallion and Moctagon Jone's Lion Knight Hay Transport with Hover Horse Security. 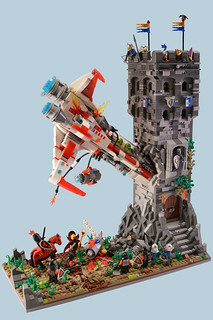 So, what other space/castle mash-ups have you either built or found online? 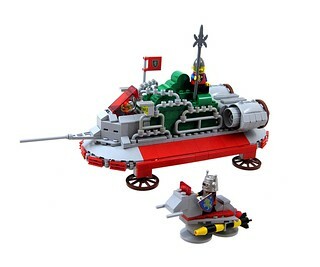 Paddy's MOC was part of the inspiration for Mark van der Maarel's TIE Crash, built for a contest on Imperium der Steine.